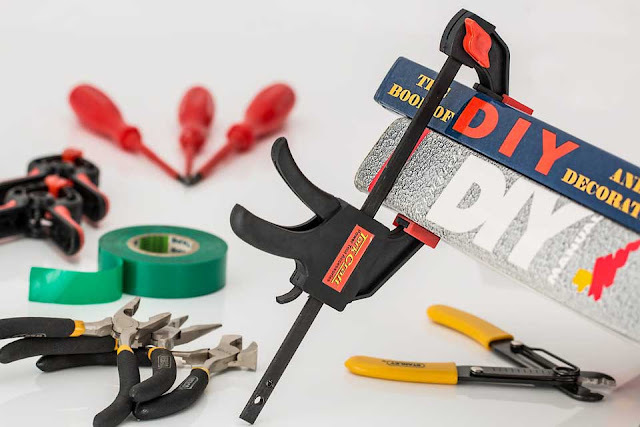 More and more people now choose to engage in do-it-yourself or DIY projects. The central premise here is that when you can learn fast and apply your acquired basic skills on different tasks, then, there will no longer be a need for you to hire other people to do the job on your behalf. We will discuss how to start your DIY journey for home improvement. For the past few years, DIY home improvement rose to popularity and has captured the hearts of ordinary homeowners and professionals alike. There is nothing more appealing than being capable of improving the overall appeal of your home with the use of your very own talent. If you plan to start your DIY journey soon, here are a few ideas that you might want to try for an entirely new look and feel in your living space. Improve your home by installing new tiles or replacing your existing vinyl flooring. Convenience is everything at this day and age. It is much easier to install tiles or replace your flooring with the use of a simple self-adhesive backing to facilitate easy placement. It can give you a whole new floor surface literally within a couple of hours. Handmade shelves can be installed in strategic locations around your home. Instead of buying the usual cookie-cutter shelves, you might want to drop by woodworker's store or craft fair in your area for some customized shelves. The best thing about using handmade items for DIY home improvement is that everything, from the color, design, cutouts and style can be customized. Shelves are ideal for showcasing knick-knacks in your family room or storing garage tools. Carpets can do wonders in changing the overall lure of any home. However, before making a purchase, see to it that you have measured the area where you plan to install carpets. If you will need to cut the carpet, it is not a big problem since you can always purchase special cutting tools at the nearest home improvement store. All you need to do is to roll out the carpet and secure this to your floor for easy DIY home improvement project. For wallpaper fans out there, you already know that this can peel now and then. This is something inevitable. There will always come a point when you need to replace your wallpapers, and it is no doubt one of the easiest if not the cheapest home improvement projects you can ever do. You can easily purchase wallpapers from do-it-youself or DIY home improvement shops and cut them to fit in any room in your house. When installing wallpapers, see to it that you smooth them out properly as you go to avoid unsightly bubbled areas. Ceiling fans will not just add beauty to your room for at the same time; these can help in circulating the air. However, be extra careful during the process of installation as well as when climbing up and down the ladder. There are still many other DIY home improvement ideas that you can implement in your home. All it takes is a slight bit of creativity, and you will be on your way to a better and more comfortable living space.